Tensions rise between Tim-21 and his rescuers in the the robotic resistance group known as The Hardwire. Meanwhile, Andy arrives on the planet of Gnish in time to witness the crowning of the new king. Not surprisingly, he vows to double the planet's efforts to hunt down and destroy all robotic life... particularly those responsible for the death of the previous king. 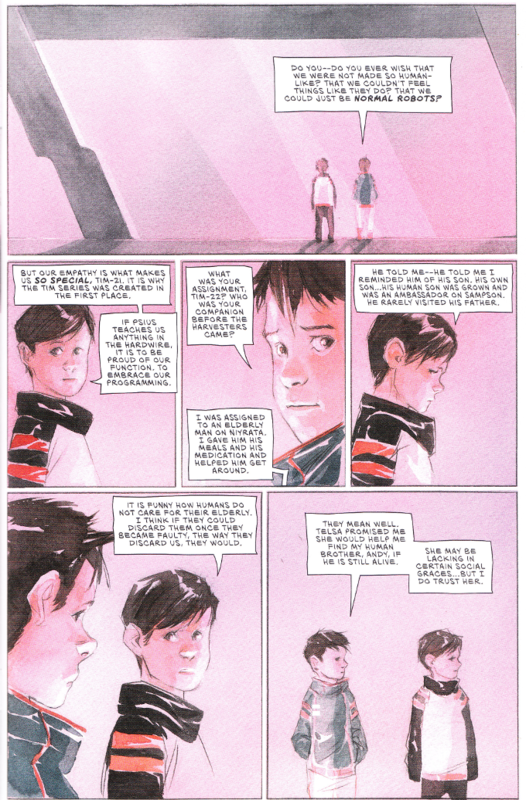 Jeff Lemire is slowly building the drama of Descender. Not much happens in this issue in terms of pure action - the sole fight sequence involving the robot Driller's continued fight for survival in the arenas of Gnish. Still, there are a lot of the quiet, enjoyable character moments which Lemire excels in writing. Dustin Nguyen's art continues to impress. 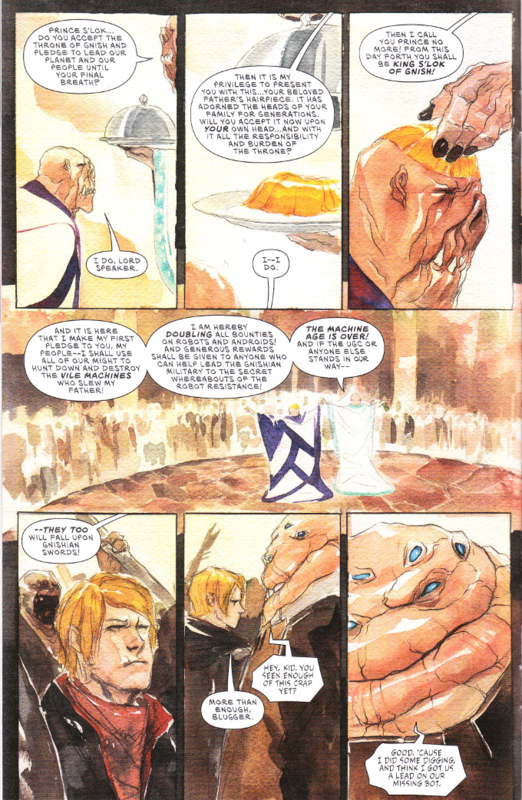 The rough, sketchy appearance here is a good match for the gritty universe of Descender. Few dystopian comics have visually captured the feeling of a great empire descending into darkness as well as this one.